Recently a new band, called Dizorder, emerged into the heavy music scene in Paris. In October, this band, consisting of vocalist Chloé, guitarists Baptiste and Kevin, bass guitarist Maximilien and drummer Maximilien, released their debut EP, called Moon Phases. Moon Phases starts with an intro, called First Moon, which sounds atmospheric as well as catchy, but without sounding poppy. With the first track, Love In Blood, Dizorder immediately shows that their music isn’t extremely heavy, but surely contains some elements of it. Dizorder’s music sounds like a mix of rock and metal, between which they try to find a good balance. In my opinion they surely succeeded in finding this balance. It is catchy as well as, at some moments, a bit heavier. This probably isn’t an album for people whose metal definitely needs to be very extreme, but for those who like to listen to the heavier sides of rock or the less extreme sides of metal, Dizorder can be a very nice surprise. 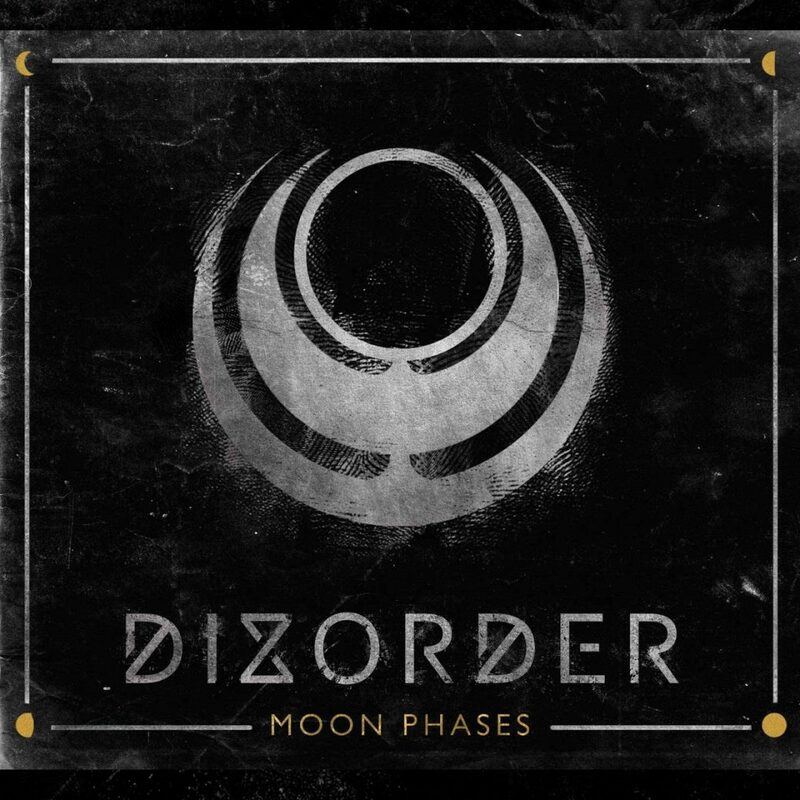 On Moon Phases, Dizorder shows that variation, both instrumentally and vocally, and rhythm-changes are very important for them. An example of this instrumental variation are the funky bass and drums combined with the dreamy sounding guitar on Pic(k), my personal favorite of Moon Phases. A very bold choice but at the same time a very well-fitting choice, even in combination with the heavier instrumental parts in between. The vocals on Moon Phases vary from screams to clean singing. The clean vocals can be melodic, but can also sound a bit more rap-like. This can be heard in, for example, Love In Blood. There is one point of criticism about the vocals though: Chloé’s clean vocals sometimes sounds a bit fragile to me, especially in Love In Blood. In the other tracks it sounds a bit better, but it still doesn’t convince me. However, her very intense, powerful screams make up a lot! With Moon Phases Dizorder delivers quite a nice EP. Some things could possibly be done better, but it’s not a huge problem, especially not because of Moon Phases being a debut EP.